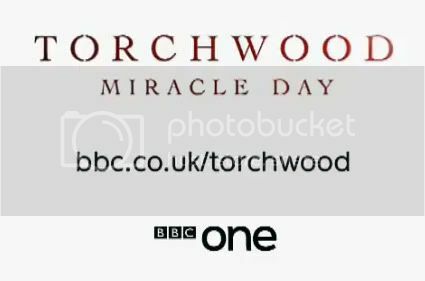 The BBC has posted a response to complaints from UK fans over the scheduling of Torchwood: Miracle Day. BBC One will broadcast episodes six days after the US broadcast and five days after the Australian and Canadian broadcasts which has angered some fans. The Hollywood Reporter and The Guardian blogged about the delay. Eve Myles was interviewed by The Hollywood Reporter and gave her thoughts about the fan reaction to the delay of the UK broadcast. THR: We’re sure you’ve heard the rancor out of the UK about BBC’s delayed premiere of the show. What would you like to say to those fans? Myles: We never, ever, ever wanted to take this show away from the original fans. What we always wanted to do with the show was give them a gift every year, something wonderful, a big, big present. And if that present isn’t good enough, we aren’t going to give it to you. We’ve made you the best, best series yet. And it works out that it will be a week after the U.S. showing. And obviously we have nothing to do with that -- me nor John [Barrowman] or [showrunners Russel T. Davies and Julie Gardner]. But, just hold on tight. I’d just like to remind them that they’re our fans. We want them to sit back and enjoy it, be proud of it like we are, and to stick with us. If it was up to me and John, we’d have it to them straight away. But, it’s not. THR: So, do you understand where they’re coming from? Myles: Oh my God, of course I do. I was the biggest Six Feet Under fan in the world. And if that had happened, it went out there first and it didn’t come out here. That did happen with the first series. It went out there and we had to wait. And the reason why I was so frustrated and kind of pissed off about it is because I couldn’t wait to see it. I was so excited about seeing it. You just want to get to see it, don’t you? I mean fair play. These people have waited just over two years for this next season. You know, they’ve waited long enough. I wish I had the ten episodes here and I can invite them to my house and we could all watch them together. You know, tonight. Unfortunately, my house isn’t big enough and I only have one [episode] myself [she laughs]. Yeah, I’d like to say that if I had something to do with it that this wouldn’t be happening. But, sit tight, because it is a fantastic ride.